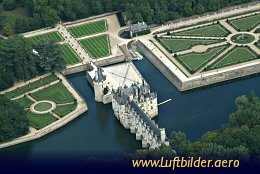 Chenonceau Castle is obligatory part of any Loire tour. It was used by Kings and Queens. It even survived the French Revolution as a military hospital. During World War II the separator line between the the German occupied part and the free France went amid this castle.